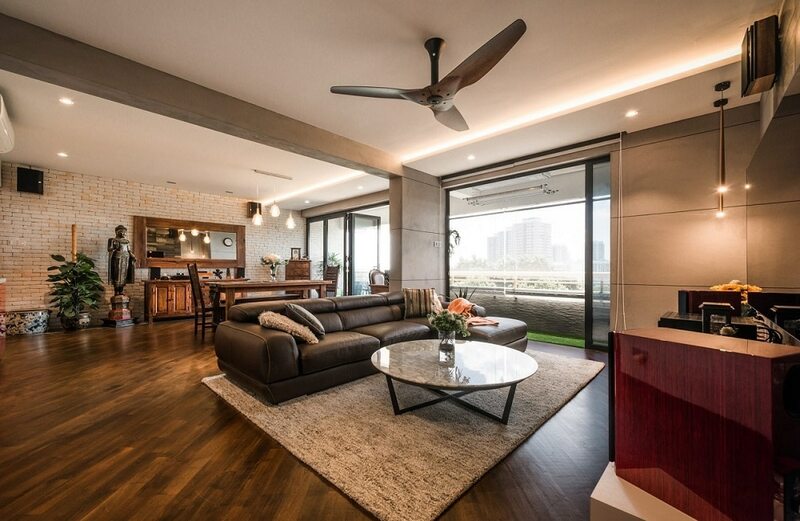 This beautiful home interior emulates a loft-style aesthetic. The use of an open layout to maximize the space complements the simple furniture selection. However, it’s the use of modern French windows that let in an abundance of natural light and the gorgeous material palate that truly make this one a keeper! If you’re just as inspired by the warm coziness of the rustic style as you are by the sleek sophistication of the modern one, then you’re in for a treat. This interior design combines the two juxtaposing aesthetics in a single, stunning interior space. The glossy materials showcase rustic accents and textures to deliver a beautiful dual look – perfect inspiration for those with clashing tastes. If your tastes run the gamut of eclectic and you love a bit of bold coloring, then check out this kitchen interior design. 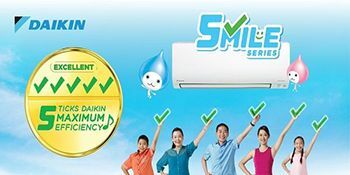 It’s sleek, simple and yet features so much personality. 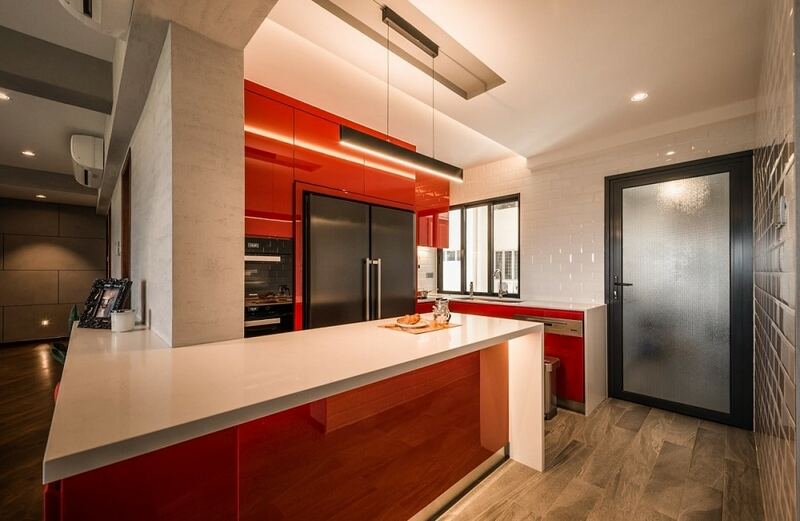 The red colored high-gloss and gorgeous lighting complement the in-built appliances while the use of white accents brings in a little moderation in the overall look. If you’re looking for some unique space saving home design ideas, then check out this bedroom. 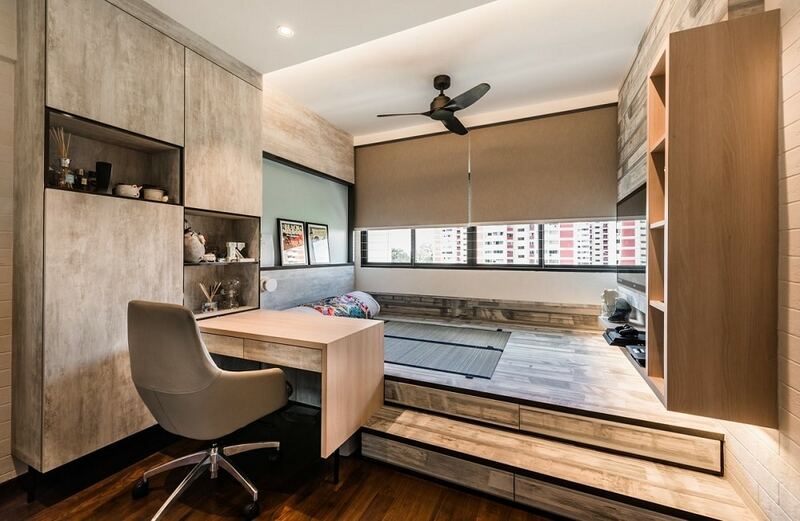 Featuring a platform style bed with lots of storage space and a study desk, this particular interior design impresses with its quality treatment of space. 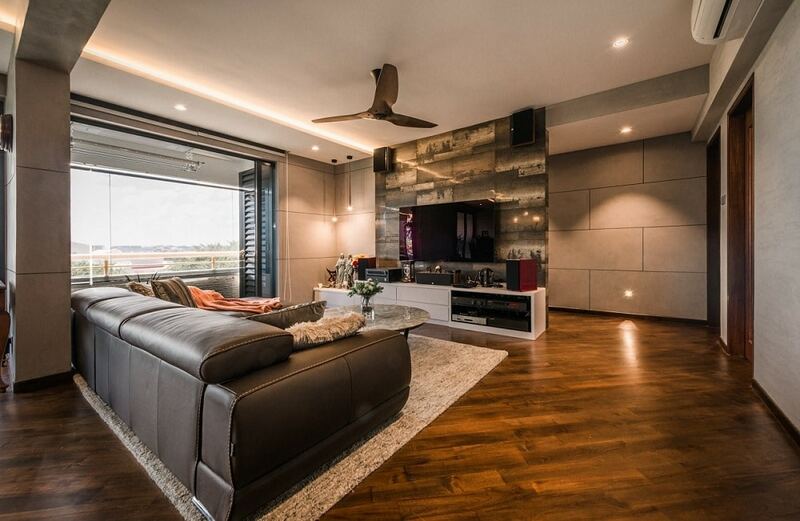 Aside from the clever layout, though, the understated yet natural color scheme coupled with lots of natural lighting also emphasize the spaciousness of the room. We’ve got two words for all homeowners who don’t know where to start with their bathroom design: mirrors and glass. 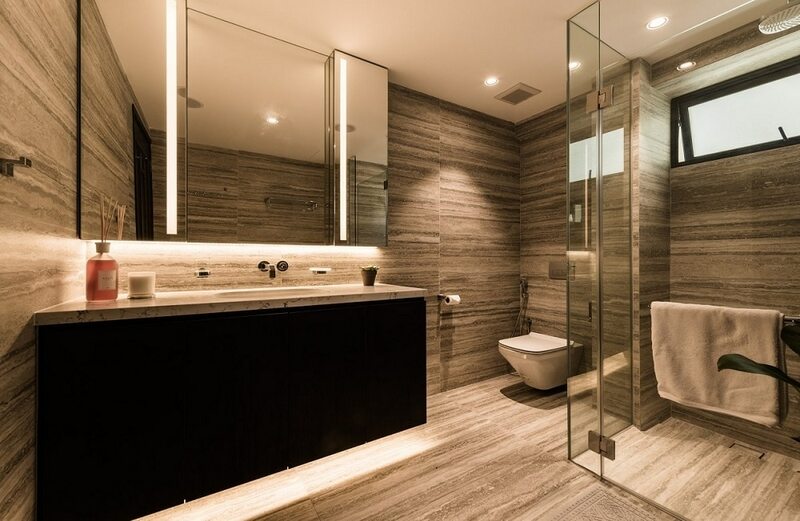 Both of these materials are going to help add a sleek, spacious quality to your bathroom interior – especially when coupled with good material selections and clever lighting as in the bathroom in this image.